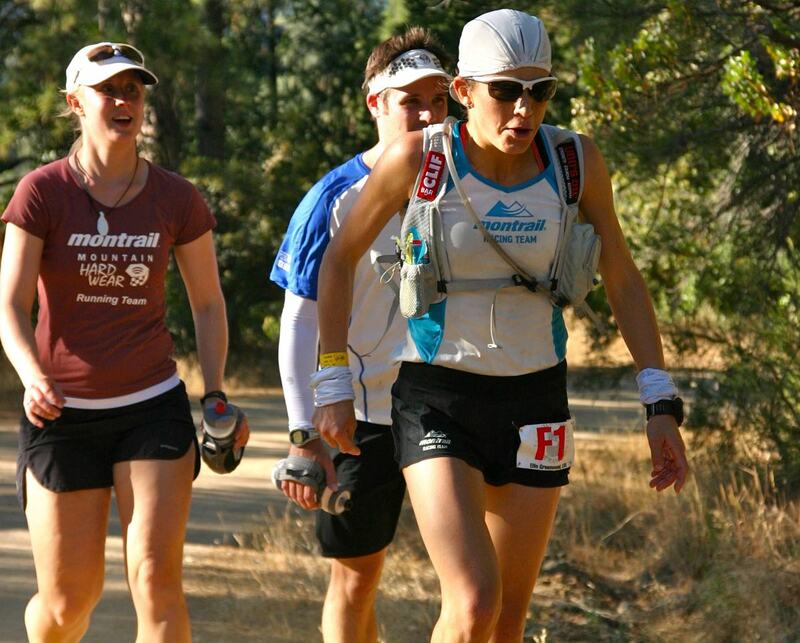 In June of 2011, Ellie Greenwood ran her first 100 miler at the Western States 100 and won. Becoming only the second woman to break the 18-hour barrier, Greenwood’s winning time of 17:55 caught the attention of the ultrarunning world and served notice that for the first time in almost two decades, the venerable records of the legendary Ann Trason could be challenged. 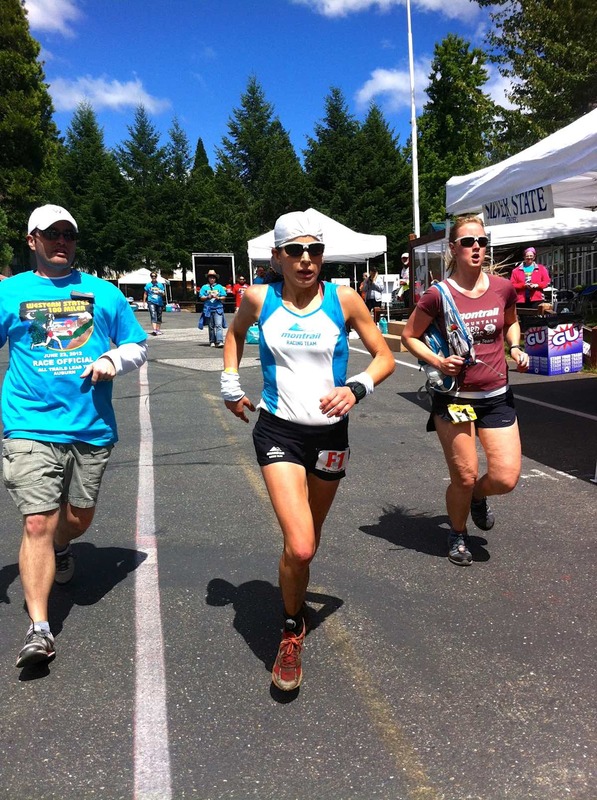 Going into the 2012 race, Greenwood prepared in much the same way as she did before the 2011 event with excellent performances at the American River 50 Mile (winning in 6:18) and the Comrades Marathon (second place in 6:08, 10 minutes faster than her winning time in 2014) as well as two excellent spring marathons, 2:43 at the London Marathon and 2:42 at the Vancouver Marathon. Clearly, with all that speed in her legs, Greenwood was poised for a breakout performance at Western States. With only 20 days between Comrades and Western States, Greenwood spent most of that time hiking in the mountains and resting. With so much fast running on her legs, she was determined to start out easy in the early going. Ellie having fun early in the race. And get a gap she did, running a 1:18 split from Devil’s Thumb to Michigan Bluff, a full five minutes faster than Trason had in her course-record 1994 run. The experienced race observers at Michigan Bluff knew, at that point, that the course record was a possibility. Running through Foresthill at mile 62. Greenwood’s split from the river crossing (mile 78) to Highway 49 (mile 93.5), the deceptively fast ‘runnable’ section of the course, was an incredible 2:49, which was a full 12 minutes faster than Trason’s record split for that same section. Finally, while turning on her headlamp for the first time at Highway 49, Greenwood looked at her watch, Maybe I can get the record after all, she said to herself. Hiking into Green Gate, mile 80. Ultimately, Greenwood crossed the finish line in 16:47, a full 50 minutes ahead of the course record. Looking back on it now, over six years later, Greenwood realizes the magnitude of her accomplishment as the closest another woman has come to her record since then is Courtney Dauwaulter’s 17:27 this past year. 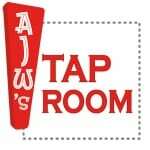 This week’s Beer of the Week comes from Strange Fellows Brewing Company in Vancouver, British Columbia. 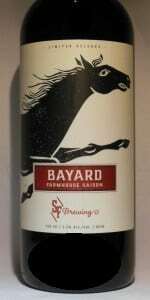 Their Bayard Saison Farmhouse Ale is a delicious take on this popular variety. Tipping the ABV scales at 5.5%, this wonderfully drinkable beer is fruity and spicy, which makes it an excellent accompaniment to just about anything. 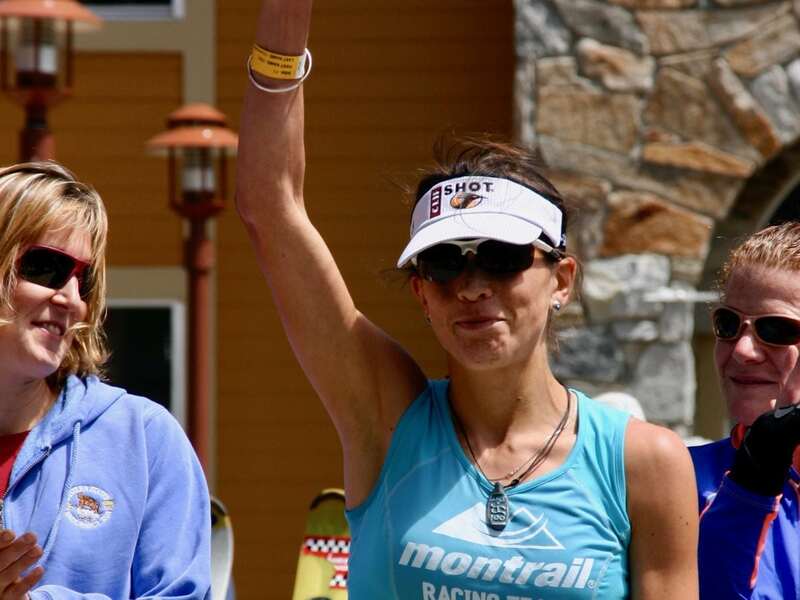 Did you spectate either of Ellie Greenwood’s two Western States 100 runs, in 2011 or 2012? What do you remember about those races? 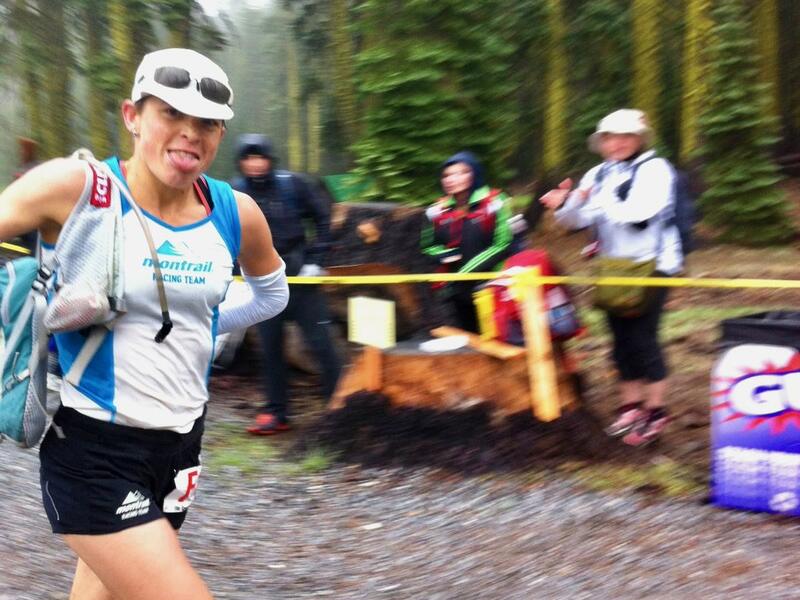 Have you ever had a race that really just ‘clicked along,’ with relatively few hiccups? If so, were you able to sort out what led to that near-perfect day out? 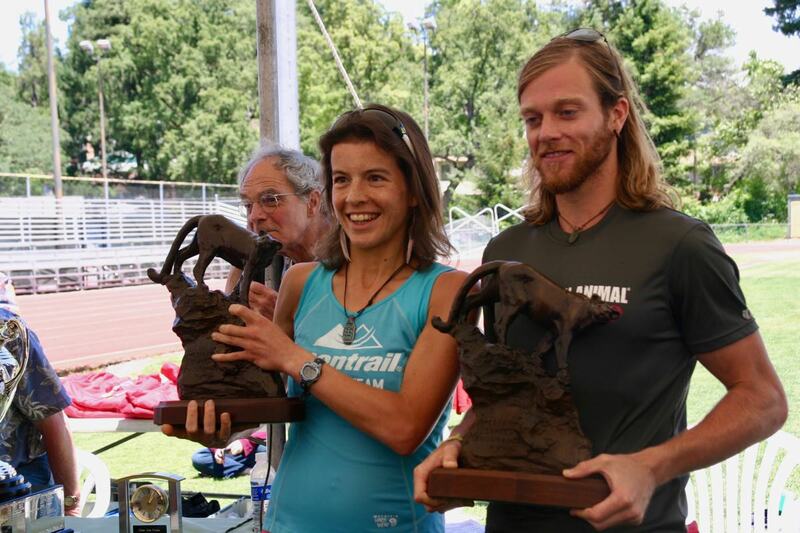 Ellie Greenwood receiving her cougar trophy for her course-record win at the 2012 Western States 100. Thanks Andy for the interview and writing the piece. Thanks iRunFar for the trip down a rather fond memory lane. But most of all thank you Crew Chief (and pacer) Ryne, Pacer Palichuk (even when you told me I needed to work hard at mile 90! ), Kristin for coming down Bath Rd, Ken for his dry gloves and Ran-man for his cooking and running me in over the final road section with verbal cues. That day was magic, and I hope every reader reading this has their own once in a lifetime day of magical ultra running. It was definitely a magic day, Ellie!! It was so awesome to watch you simply check the boxes and execute such an inspiring and textbook race! So proud to have been a small part of the team!! Now thats a race i would have loved to have followed- Elie Greenwood AND Lizzy Hawker! Great piece on an epic performance!